The functional equivalent of the World Side Release Buckle, the Airloc SR Body mates with the WSR Latch. Removal of non-essential surface material provides a lighter appearance. 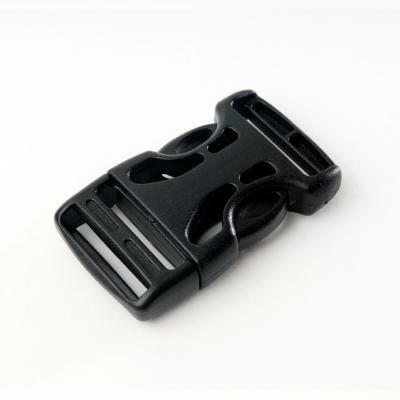 The Airloc Side Release buckle (ASR) features the addition of a center support rib for crush resistance, a reduction in overall length of the buckle, and a symmetrical top and bottom for easy in-factory sewing and orientation.